Sunday evening I was inspired to make a few recipes from the January 2006 (typing 2006 is really frightening) Food & Wine. You never know what will jump out at you, but I liked the simplicity and flair of Sai Viswanath’s Indian inflected creations from DeWolf Tavern in Rhode Island. I decided on replicating two dishes, the garam masala-crusted chicken with fig jus and green bean-chile stir-fry. The tumeric-ginger cauliflower also sounded appealing, but I figured I’d save that side for another night. I was hoping to use things I had around the house. All I had to run out in the freezing afternoon cold for were green beans, dried figs (which I thought I had—I swear I have every other dried fruit known to man all baggied up in the cupboard) and a jalapeño (I always have birds eye chiles on hand, but didn’t want to deviate. As it turned out, I could’ve gotten away with a little extra heat, the jalapeño was nearly imperceptible in the beans). The recipes were straightforward enough that this could’ve been a weeknight dinner (I try to reserve Sundays for time consuming endeavors) though you can’t totally ignore the chicken, it needs a little tending to. James asked if I had used five spice, which I hadn’t, it was garam masala. But that made sense. It had never occurred to me before that the combo of cumin, coriander, black pepper, cloves and cinnamon (of course, there are countless variations) is totally an Indian five spice powder. I didn’t make my own, but went with a scoop from a 99-cent packet of Swad brand blend. I’m obsessed with Swad, seriously, but I’ll save my fervor for another time. The oil and spice slathered bird smelled very sweet as it roasted. While at The Met (which isn't great, but compared to the world's most heinous Key Food it's almost heavenly), picking up ingredients, I tried to find an ice cream that would compliment the leftover caramel sauce I’d made the weekend before to go with sticky toffee pudding. I ended up with a pint of the limited edition Haagan Dazs eggnog flavor, but haven’t tried it yet since I was too full after eating dinner and downright tipsy after swigging a bottle of Czech beer, also a party remainder. I didn’t realize how strong the effects of 10% alcohol actually were outside of the celebratory context. I guess that’s why they call it social drinking. P.S. 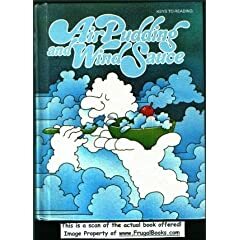 Did anyone else use the '70s Keys to Reading textbooks with stoner titles like "Mustard Seed Magic" and "Air Pudding and Wind Sauce"? I was just doing a search for the books listed in your post script, which is how I found this site. I grew up using those books as my readers in elementary school. 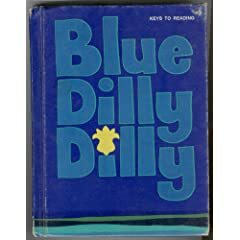 We also had one called Blue Dilly Dilly. I seem to recall one with a dragon, but can’t remember if that was a separate book or the illustration for Mustard Seed Magic. I am actually looking at my “Mustard Seed Magic” book right now. I found it in the attic. Wow…this takes me back 30 years ago…and I knew there was a companion to it. You reminded me that it was Air Pudding and Wind Sauce. paul: I don’t recall being able to keep our textbooks or workbooks. I wish I still had mine just for old time’s sake. Please post photos of your Mustard Seed Magic and Air Pudding and Wind Sauce books! My sisters and I would love to see them again. Thank you for posting these comments. I found your blog while doing the same search as Rene G.
Blue: I don’t actually have the books. But I did find some images online: Blue Dilly Dilly, Air Pudding and Wind Sauce…still looking for Mustard Seed Magic. I remember using those reading books while attending school in the early 70’s. Zip, Pop, and Go was another of the titles. The dragon book was Curbstone Dragon. Lloyd: I only vaguely remember Zip, Pop, Go, but definitely recall Curbstone Dragons. You’ve reminded me that I need to buy these books. I have been looking for _Mustard Seed Magic_ online! I remember reading it in first grade, and being terribly disappointed that there was no mustard seed magic in any of the stories. I was starting to think I was remembering the title incorrectly! Please post a picture of the cover! I seem to remember it being sort of mustardy and there being a flower or plant on it.